You Care With Our Unique Cool Care® Products! Beauty & Safety In One Truly Special Purchase! Ideal for all homes, apartments, hotels, motels, hospitals, beauty salons! Versatile ANY TIME & ANY WHERE hot appliances are used! Affordable, Stylish, & Practical! Safety Is Our #1 Priority! in hospital emergency rooms according to the latest available statistics. The most common burns occur due to “product-related” thermal burns. For my review, I received the CoolCare Curling Iron Holder – Wall Mounted Model. I have quite a few hair styling products, and I just leave them on the counter. Thankfully, Isabella doesn’t have access to my bathroom. But, when she starts to outgrow her gate, who knows what can happen? With the CoolCare Curling Iron Holder, children don’t have access to hot hair styling products. It is designed to hold a flat iron, curling iron and a blow dryer. Purchase enough to put one in every bathroom or vanity in your house. All wall-mountable models come with mounting directions, inserts, and screws. In addition, you can purchase our special, well-loved mini flat iron or detailer as it’s called in the fashion world with the complete kit or separately. See our rave reviews for demonstrations and testimonials about all our products! 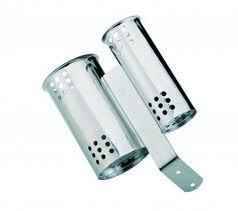 And all models of Cool Care holders are made from Stainless Steel. This means you can relax knowing you have helped protect your family from easily-avoidable hazards. One lucky winner is going to receive a wall-mounted CoolCare holder of their own! (+1) – Follow CoolCare on Twitter. (+1) – “Like” CoolCare on Facebook. (+1) – Share this giveaway on Facebook! Please include a link to your post! Can be done daily. GIVEAWAY ENDS AUGUST 15TH AT 11:59PM (CENTRAL TIME). The winner will be chosen at random.org. I will e-mail the winner, and they will have 48 hours to claim their prize. Disclaimer: I received the above mentioned product(s) from CoolCare free of charge in exchange for an honest review. No other compensation was received. However, all opinions are strictly my own. Signed up for the coolcare newsletter! I found this giveaway in your email newsletter! entered send a happy gram! entered belly buttons & babies! I added coolcare on facebook! I found this giveaway in my email because I subscribe to your blog! I subscribed to to CoolCare's newsletter. I'm following CoolCare on twitter. I Like CoolCare on Facebook. I “Like” Beautifully BellaFaith on Facebook. I'm following Beautifully BellaFaith on Twitter. I”m following via Networked Blogs. Easy Clean Dusting Makes Cleaning Simple!